Here's another garage sale item that I found recently. It's spent some time outdoors so the paint is very worn on the seat. Not as much on the back. Blueberries have been hand painted on the little chair. This is grainy cell phone photo was taken after sanding the back panels to match the worn paint on the seat. I then sprayed the chair with Thompson's Water Seal in the spray can. Now to gather up some blue (blueberry) colored stuff! 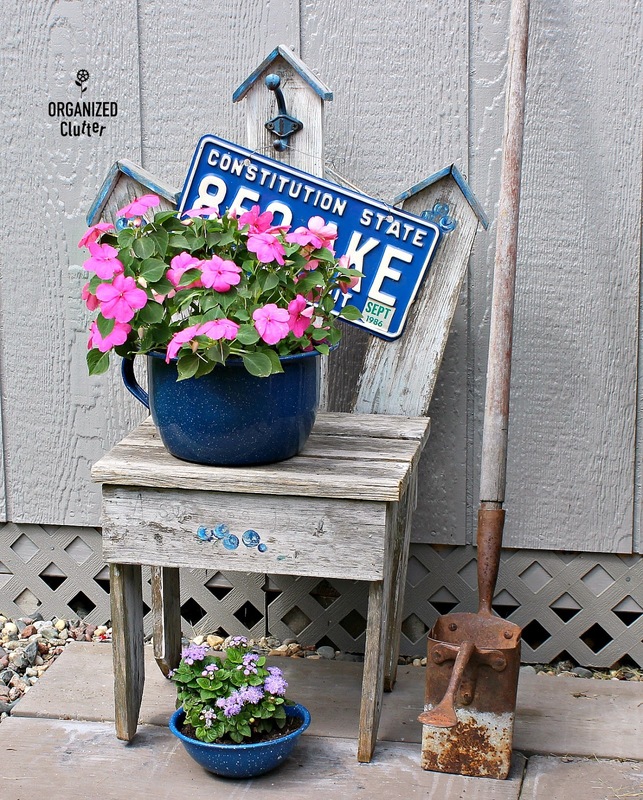 Like this iron hook from Hobby Lobby. 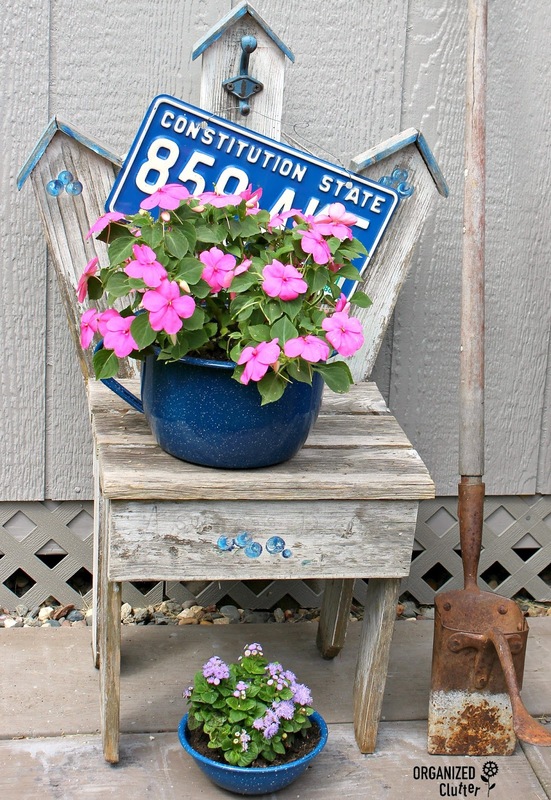 Also a blue Connecticut license plate and enamelware pot. These items were purchased at a consignment shop. So I screwed the hook into the center back panel, added a wire to the license plate and hung it from the hook. I planted an impatiens in the enamelware pot. I found a little enamelware bowl in my stash and added an agertum. 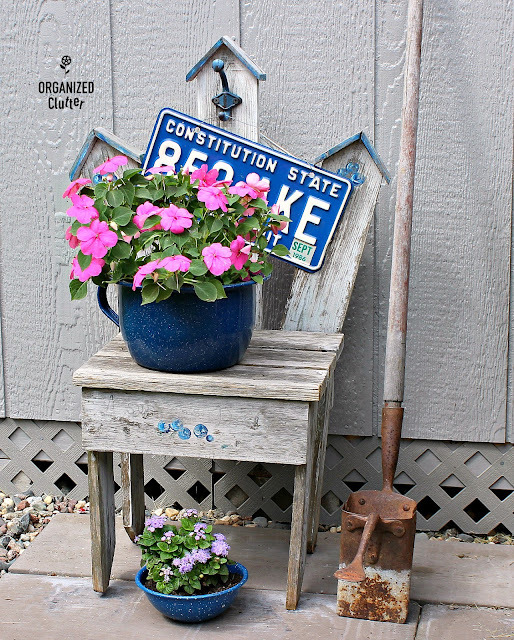 Not much was needed to make this little garage sale country style chair into a fun junk garden piece. Keep your eyes open for country garden crafts that can work in a rustic junk garden! 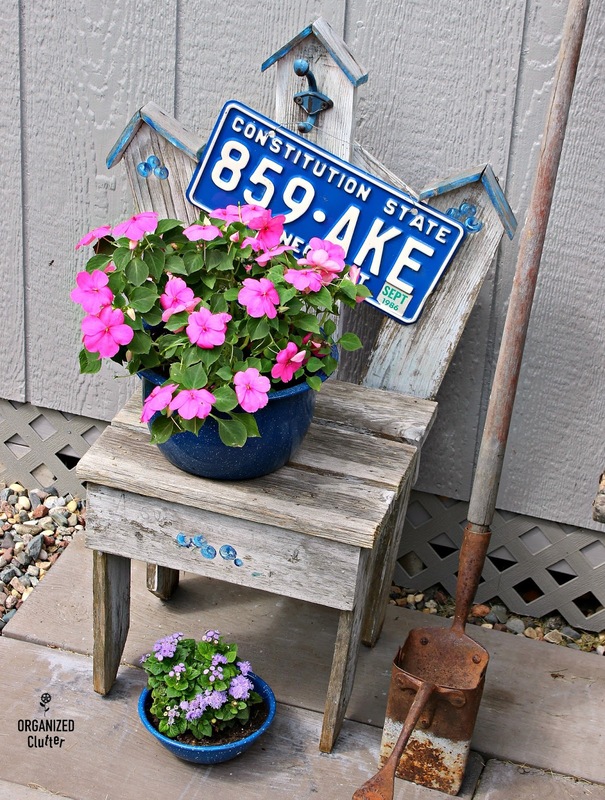 Such a cute plant stand! I love your site, you are so creative. Very cute! I just love yard sales! Carlene, you did it again! Making something cute out of junk! I take inspiration from you! As a Connecticut resident, I approve!!!! Really cute - I love it!